I-CAR USA has added an ADAS Information Locator resource here. NASTF Vehicle Security Information Access Matrix: This document assists VSP users with understanding what is available on the various car maker security web site. Transport Canada Recalls Database - search by Make, Model and Year Range. MyCarDoesWhat - educating drivers on new vehicle safety technologies designed to help prevent crashes. 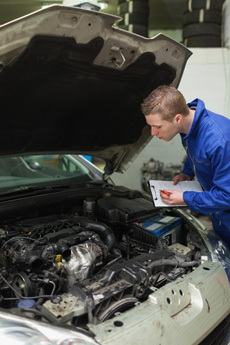 Lots of helpful information that can be used by technicians too, particularly apprentices and trainees, or journeymen who may have to aquire new skills to work on vehicles with these new technologies. CrashRepairInfo - This website provides good consumer tips and advice from many OEMs. OEM Calibration Requirements Search - A searchable database provided by the I-CAR Repairability Technical Support Portal. Enter a Make, Model and Year and search for recalibration requirements published by the manufacturer. DEG (Database Enhancement Gateway) - This site allows repairers to identify errors or changes in database repair times for working on OEM vehicles.